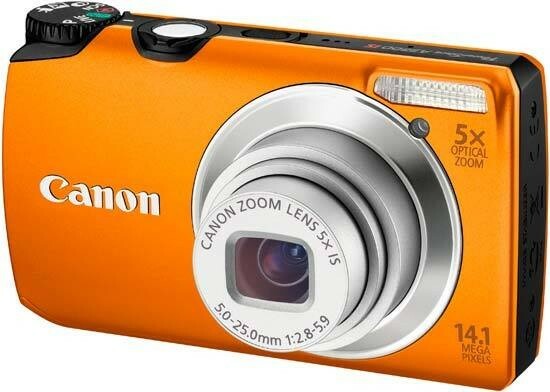 The Canon Powershot A3200 IS ticks all the boxes that someone looking to spend this amount of money on a camera will need. It has a decent resolution, a focal range that copes with every day shooting, an abundance of “do it for you” features and it looks nice. If you own a DSLR and are used to the quality of it, you'll find this camera lacking but then it's not supposed to compete that high and at the level it's placed at, it does very well. Noise control is good until you get to the high settings and I've seen a lot worse on more expensive cameras. We like how the camera controls colour, focusing is fast enough for most scenarios and the only disappointment was in some cases the camera over exposed. In those instances all we had to do was under-expose by a stop on the exposure compensation but it shouldn't have needed doing. It's not a bad little camera, though. It looks nice enough and all the features that you need are at hand on the buttons or the command dial on top of the camera. The command dial could maybe have been put on the back of the camera or removed completely but it's not a bad thing. If you're in the market for a decent compact with some fun features, take a look at the Canon Powershot A3200 IS.